*Booking and surgery must take place until the 30th of June 2019.
the feeling of being able to see clearly without glasses or contact lenses is simply not to describe. To undergo an eye surgery in a foreign country is a very hard decision. Due to the recommendation of a friend I came across to you. After you gave me a detailed explanation per mail and telephone I could make up my mind after all. Since then, two weeks had passed and a three-day stay in Istanbul turned into a complete success for me. We can book a room for you in one of our partner hotels or you can opt for a hotel of your choice and then let us know your accommodation. 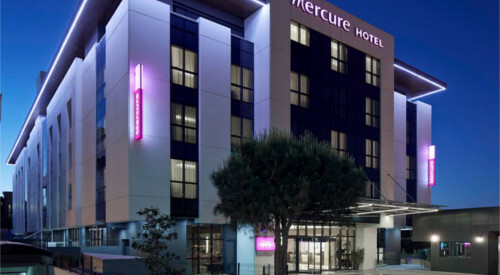 The clinic covers the first two nights in the Mercure hotel. The most frequently asked questions and answers at a glance! How many days I have to stay in Istanbul? We recommend a stay of 3 nights. On the day of arrival, you can arrive at any time. The screenings and the surgery will take place at the 2nd day. On day 3, the post-op check-up will take place in the morning. The return flight should be booked at the earliest from about 2pm. If the surgery will take place on a Friday, the control will be done on Saturday, since the clinic is closed on sunday. If you want to make a city-tour, we recommend a stay of 3 nights. Please only book your flight ticket after your appointment has been confirmed through us. How expensive is the flight ticket to Istanbul? 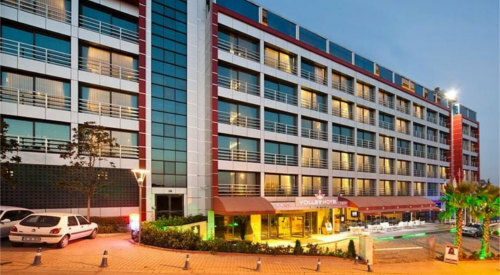 If you want to generally search for another hotel, you can book a hotel of your choice. (eg www.booking.com ). The transfers between your hotel and the clinic is guaranteed. Please provide the address of your hotel. The hotel should be located on the asian part of Istanbul. Payment is made on site in Istanbul after the examination via credit card or in cash (both Euro or Turkish Lira are accepted). How many weeks in advance should I book? An accompanying person is welcome. All transfers can also be used by the attendant. Correspondingly, a double room is booked at our partner hotel. Who looks after me on the spot in the clinic? Locally at the clinic you will be taken care by the English speaking staff member of the hospital (Arzu). Also the surgeon speaks fluently English. In addition, our head office in Istanbul is not far away from the clinic. We, from Health Travels, are always on site in Istanbul. Laser eye surgery provides long lasting stable results. If in any case your vision power decreases over time and exceeds the number of +/- 1 diopter a free of cost re-lasik will be performed provided that your cornea is thick enough for a second treatment. Arrival in Istanbul. You can arrive at any time. Transfer to the hotel. From both airports in Istanbul (IST and SAW) Airport transfer is valid. Check in at Hotel. If there is time available, you can make a city-tour. Pick up from hotel and transfer to the clinic. Screenings and consultation with the doctor. I would like to receive a FREE quote FREE quote! I want to know if I am suitable. Am I suitable?. I would like to see the flights to Istanbul. Search for flights to Istanbul.